Can We Use Internet Searches to Plant Trees and Save the Environment? Can We Use Internet Searches to Plant Trees? Internet search platform Ecosia has set itself the ambitious goal of funding the planting of one billion trees around the world. It is an approach which is both innovative and unique and that, so far, has resulted in the planting of over 12.3 million trees, at a rate of one every two seconds, with over €4.6 million having been invested. Ecosia successfully funds tree planting programs by using 80% of the revenues it generates from advertisements connected an internet user’s search results displayed after a search is made. Just like with the better-known internet search platform, Google, a user can search about anything he/she likes and on average, it takes 45 searches to result in the planting of one new tree. An icon on Ecosia’s home page tells the user how many searches he/she has made which also enables them to calculate how many new planted trees they have personally been responsible for. Revenues are also used to cover operating costs, marketing and spreading the word costs and to build up Ecosia’s financial reserves. The nature of Ecosia’s business model means that the more people who use the search engine, the more revenue it will generate from advertisements and the more trees it will be able to sponsor the planting of. It has over 5.5 million active users worldwide. Increased revenues will also enable Ecosia to fund tree planting programs in other countries which have been affected by deforestation and to continue raising awareness around the dangers of climate change. Trees are good for the environment for many reasons. Perhaps, most importantly they can successfully absorb poisonous carbon dioxide emissions – one of the main drivers of climate change – which then result in improved air quality. They also act as a source of nutrition, employment, education, medical help and political as well as economic stability. Forests, in which Ecosia’s sponsored trees are planted, are the most diverse systems of land on the planet. They contain millions of species which have not even yet been discovered by humankind and analysed. Many of these species might help provide important health and medicinal cures and treatments for diseases and illnesses that presently have no known cures. Protecting these forests should be seen to be of critical importance. Trees also help prevent soil erosion and create productive and fertile land. 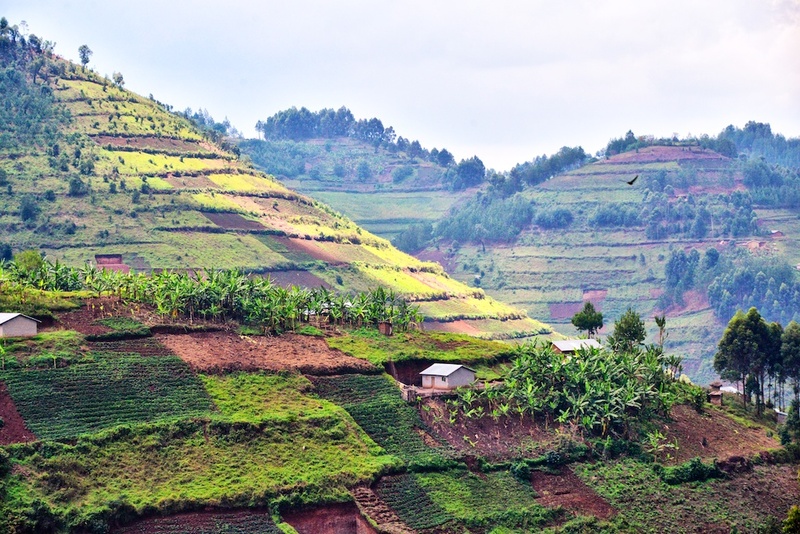 Soil erosion can lead to natural disasters such as landslides occurring which often result in the loss of human lives and mass infrastructure destruction. Land that is no longer fertile cannot be used for the production of staple crops and foods and thus leads to increased food insecurity and in extreme cases episodes of famine and starvation. At present, Ecosia supports tree planting programs in Nicaragua, Peru, Burkina Faso, Tanzania, Madagascar and Indonesia. Ecosia’s website states that “Each of the tree planting projects that we finance has a unique approach and is helping to reforest the world in a very special way.” As more users start using the search engine and revenues increase Ecosia will be able to support other tree planting programs. In Madagascar, for example, Ecosia is working on two projects to help reforest “The world’s oldest island.” Different threats including Colonialism, global markets and a growing population have all negatively affected the island’s forests and natural flora and fauna. In response, Ecosia working with its partner, The Eden Reforestation Projects, is working to restore these once fertile lands and is actively engaged in two initiatives. The first project focuses on the restoration of Mangrove forests on the island’s coastline while the second focuses on restoring deciduous tree species in the dry midlands area of the island. Transparency is also an essential part of Ecosia’s business and reporting model and update reports are released to the public on a monthly basis. They outline Ecosia’s monthly income, how much was invested into tree planting programs, what percentage of the overall income this represented as well as how much of its surplus income it was. For example, in June 2017 Ecosia’s total income was €797,844 of which €446,075 was invested in tree planting which equated to 56% of its total income or 81% of its surplus. During the month, a total of 929,618 trees were sponsored in Ecosia’s projects in Madagascar and Peru. Ecosia is an example of just one organisation that has identified climate change as a global challenge and has pioneered an innovative, and to date very successful, solution. In doing so it is simultaneously working to reduce carbon dioxide emissions, enable reforestation, protect and promote biodiversity, strengthen local communities and raise awareness. Its business model easily allows it to expand, embrace new partners, support multiple climate change campaigns and to effectively distribute finances and resources. Other innovators and climate change activists would do well to take note of how and why it has been successful.